Lucia container shelters are used for pre-collection of refuse. The shelters have a capacity of one to four containers, with two or four wheels. 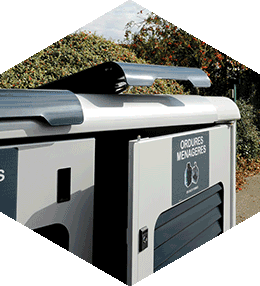 Compatible with all types of bin from 120 to 1100 L.
Rural municipalities, collective housing in urban and suburban areas.